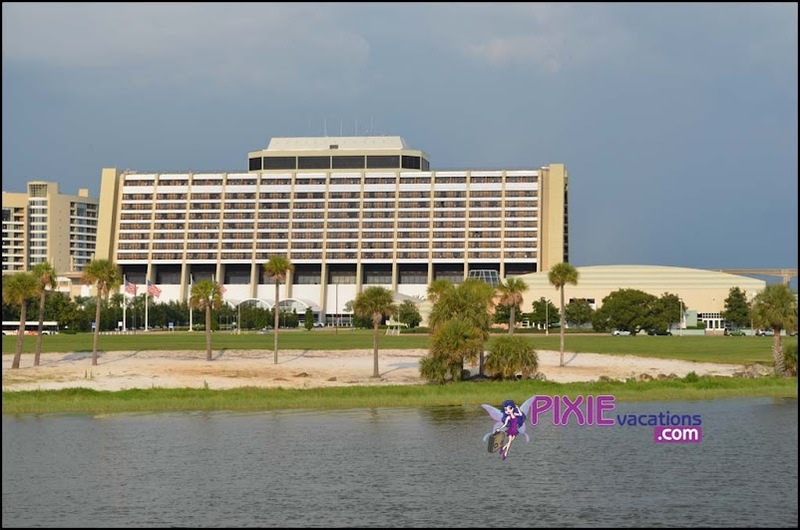 There are tons of on property resort options at Disney World; actually there are twenty six options to choose from. Trying to pick which resort you will stay at, especially on your very first trip can be a really daunting task. Sure, there are millions of pictures on line, videos on YouTube and virtual tours on virtually every Disney related website. Often, however, the actual task of choosing where you will lay your head can be overwhelming especially since this is the first choice you need to make even before booking! Sure, you can change your mind later on, but it will be frustrating to call up and say to the lovely cast member on the other end of the line “You Pick!” Believe me this is not something you want to do! So how do you begin to decide? I think there are a few things that you can consider that will help you make the choice. Cost: Cost is of course the biggest deciding factor for most people. Disney makes finding a resort in your budget pretty simplistic. There are four resort categories that are determined by price; Value, Moderate, Deluxe, and Deluxe Villas. Value Resorts offer large, colorful themeing with over the top decor. These resorts offer rooms with standard amenities usually sleeping 4 guests. However, you will find family style suites at the new Art of Animation Resort and All Star Music. At these resorts you will find large food courts open for all three meals as quick service locations. These resorts have pools but do not have water slides or hot tubs. They are also serviced by bus only. Moderate Resorts offer fun themes that are a bit more toned down. These resorts offer a few extras over the values. At the moderate resorts you will enjoy a quick service and a sit down dining location. Pools have water slides and hot tubs are available. Another extra is the availability of onsite recreation such as bike and boat rentals. These resorts are serviced by bus, but a few also offer boat service as well. Fort Wilderness offers boat service to the Magic Kingdom and the Port Orleans resorts offer boats to Down Town Disney. Resorts: Caribbean Beach, Coronado Springs, Port Orleans Riverside and French Quarter, Fort Wilderness Cabins. Deluxe Resorts offer a big slice of luxury with your theme park vacation. You will find some of the best pools and water slides at theses resorts. Dining at the deluxe resorts is also a notch above the other resorts. Many of them offer several options including quick service, table service, and signature and character dining. With the exception of the Animal Kingdom Lodge, each resort offers guests at least one other mode of theme park transportation besides the bus. Boats, monorails, and walking paths are among the choices. The deluxe resorts, like the moderates, offer a variety of onsite recreation from biking and boating to more extreme water sports such as parasailing and water skiing. The Deluxe resorts also offer onsite child care which is available to guests at other resorts as well. These resorts are located in close proximity to at least one theme park. Deluxe Villas are located on the same property as their deluxe counterparts, but offer roomier accommodations that can fit more guests. Options include studio, one bedroom, and two bedroom Villas. Each villa also offers a kitchen which is a fabulous resource for those staying with a large group or for an extended period of time. Deluxe villas offer other amenities on par with the deluxe resorts. Resorts: Kidani Village at Animal Kingdom, Villas at Wilderness Lodge, Boardwalk, Beach Club and Yacht club. 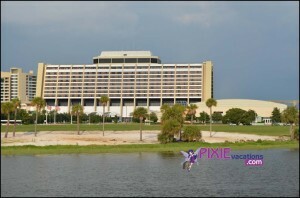 Also included are Bay Lake Towers at the Contemporary, Saratoga Springs and Old Key West Resort. After you have decided you budget consider the other factors that should play into your decision. I feel these are: Transportation, dining options, recreation, theme park proximity, the size of your group, and amenities offered. Weigh how important these things are to your group. For example if you know you will be spending equal time at the resort and the theme parks and taking a day off from park touring is in the plans than you would want to consider a moderate or deluxe rather than a value. Another example is if you have a larger party. If you’re a family of five or more you may want to consider resorts that can house you in a suite, cabin, villa, or in a bigger room. It may be more cost effective to have one suite than two or three standard rooms. Take your time when deciding which resort to choose and do not be afraid to ask questions! The right resort is the key to the perfect vacation! This entry was posted in Planning Tips, Resort Info and tagged deluxe, moderate, Resorts, Value, villas. Bookmark the permalink.